Todays date is 07/08/09 if you're not a silly yank (m/d/y wha'?) and it made me think about how long the blog has been going. 379 posts... quite a lot! It's been a while since I started doing this blog. Who knows how far it'll go before life moves on, eh? 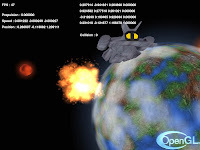 I originally started out to make a place that documented all the worthwhile Free software game projects. I stumbled a bit along the way - the original version of the blog (for those who don't remember) had a nice list down the side. Now we just have this broken old page that is too much of a PITA to edit and update. Hopefully one day I'll find the time and energy to sort it out properly. Without a good central resource* of worthwhile projects, it can be easy for things to get lost in the Internet haze. People complain about a lack of polished FOSS games but there's more out there than you realise, even if some are still in active development. Then there's those that probably fell by the wayside because they just failed to penetrate the public view. Update: as commentor Bram points out, Libregamewiki is a pretty decent resource, although not ideal - it misses comments, ratings, tagging, features to make it easier to get straight to the content you are looking for. Update2: there is also the list of Complete open source games on the FreeGameDev wiki, but this omits many projects that are very promising and playable. Shotgun Debugger is a fun, polished, top down GTA-style action game. It's well done, although I didn't get too far, because I'm a busy bee y'know. People often lament the lack of FOSS single player 3D RPGs. Arbarlith II happens to be one of those although I haven't played it so have no idea how well done or how deep or how long the game is. It looks interesting though! Lips of Suna is a very ambitious MORPG (not typo). If beautiful graphics and destructible voxel terrain don't appeal to you, then the developer focusing on gameplay must be applauded. 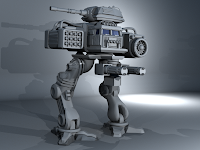 Linwarrior 3D is a mech warrior game that's been in slow and steady development since 1999. The mech models are a bit low detail, but it is a playable game. The website is one ad-ridden atrocity with no recent information on it, and no screenshots of the later versions other than some mosaic. Qubodup put together a video of it. I wonder if they know of and could make use of Grumbel's mech model and his other FreeMech concepts? Speaking of long running projects, the Combat Simulator Project seems quite active at the moment (look at the project page and forums). Love planes? Love fighter planes? Get involved. Knights (or Amiga Knights if happypenguin.org is to be believed) is a 2 player action/quest game. It looks fun, I might try to play it with my son some time. Crimson Space is a very interesting looking Elite-style 3D space trading game. Sadly development seems to have ceased circa 2002, but not before the developer implemented the ability to enter the atmosphere of planets and skim the oceans. This is the first time I encountered this game and purely by chance (linked as a 'similar project' on a Sourceforge project of mine). It's a shame development stopped and you have to wonder, if it had the kind of buzz Vega Strike has enjoyed, where it might be now had development been ongoing. If I ever do a sequel to the Top 10 Projects To Revive (I'm collecting another list) then Crimson Space is sure to be in it.